IMF chief Christine Lagarde shared some challenges she has faced as an ambitious women in the workplace, revealing the first law firm she interviewed with told her she would never be a partner because of her gender. 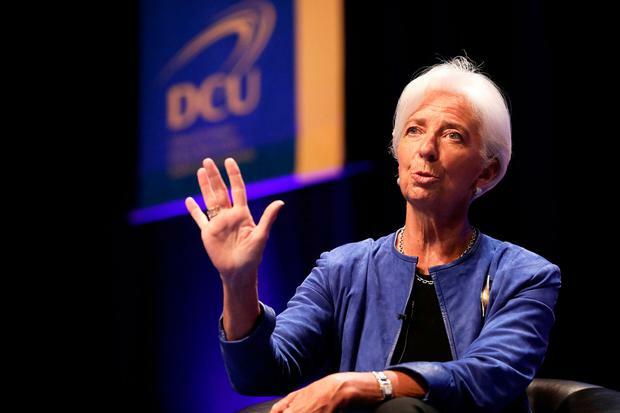 Inclusion in academia and the workplace, and Brexit, were central topics as Ms Lagarde paid a visit to Dublin City University (DCU) on her two-day visit to Ireland. 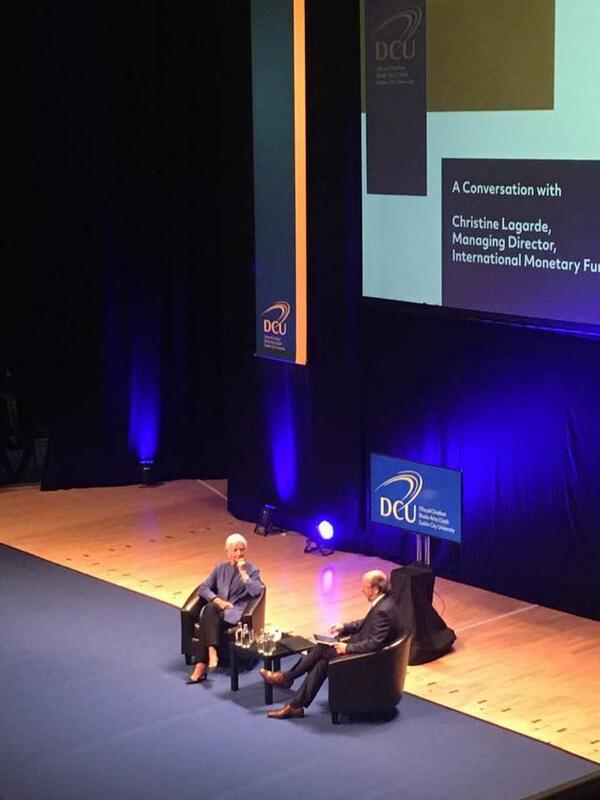 Ms Lagarde joined DCU President Professor Brian MacCraith for an in-depth conversation in front of an almost 800-strong audience in the Mahony Hall at The Helix. "I was blessed and privileged because of the confidence our parents inspired in us... But confidence needs constant refueling. It is something which is precious, something that you give," she said. "There’s no secret or mystery to it. The best way to build confidence is to love or be loved. It’s also about having enough confidence in yourself to distance yourself from negative comments and condescension...It’s also helpful to have a sense of humour. "You need to forge alliances [in the workplace]... you need to find people to support you, and they don’t have to be female." She also said she believes gender quotas are a positive step at tackling challenges facing women in the workplace. "For years I thought that gender quotas were offensive. But they’re a necessity, they make a difference," she said. Ms Lagarde also revealed she was a "good student" but said her parents "despaired of her on occasion". "It wasn’t until the age of 17 until I had a good command of a foreign language, my English was just appalling. This was a great concern for my father who was a professor of English literature." She also said she learned humility in addition to discipline - and about team efforts - when she was involved in synchronized swimming when she was younger. "The girls dancing deep underwater weren’t regarded as athletes [by the other water sports teams] ... that’s how you learn humility. "Grit your teeth and smile that’s how you get on with it. "And if one team member is not pulling her weight you might be under water for longer than you expected". 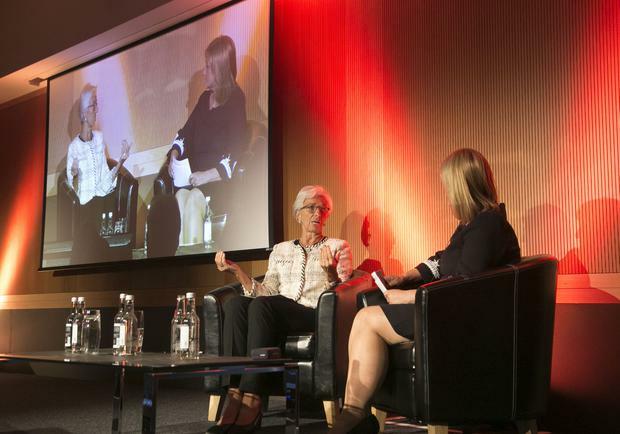 In discussion with Prof MacCraith, Ms Lagarde said that the players in the Brexit negotiations must place "all their energy and brain power" into minimising the negative impacts for both the EU and Britain. Ms Lagarde said that it was important to remember the original intention behind the union of European countries. "It all started with the ultimate design to avoid war... to create an ambition that was bigger than individual nations," she said. "War is not within our borders at the moment... but things can change very quickly. "It’s important for Europeans to stay together as much as they can... Europe is an enormous inspiration for other countries... We need to remember where we were coming from initially. "There’s a lot that has been done since the financial crisis but there’s still a lot to do." This is the third visit to Ireland for the former French finance minister since taking up her role as IMF managing director in 2011. Earlier, Ms Lagarde was given a tour of the university’s commercial innovation campus, DCU Alpha, which helps to drive digital innovation in Ireland, and at a global level. On Monday, Ms Lagarde met with Taoiseach Leo Varadkar and Finance Minister Paschal Donohue to discuss budgetary plans, economic recovery and potential “clouds on the horizon” for our financial landscape. Her meeting with Mr Varadkar also included a discussion on gender balance and lack of diversity on the boards of financial institutions. Ms Lagarde ranked 8th overall in the 2017 Forbes’ World’s 100 Most Powerful Women list.